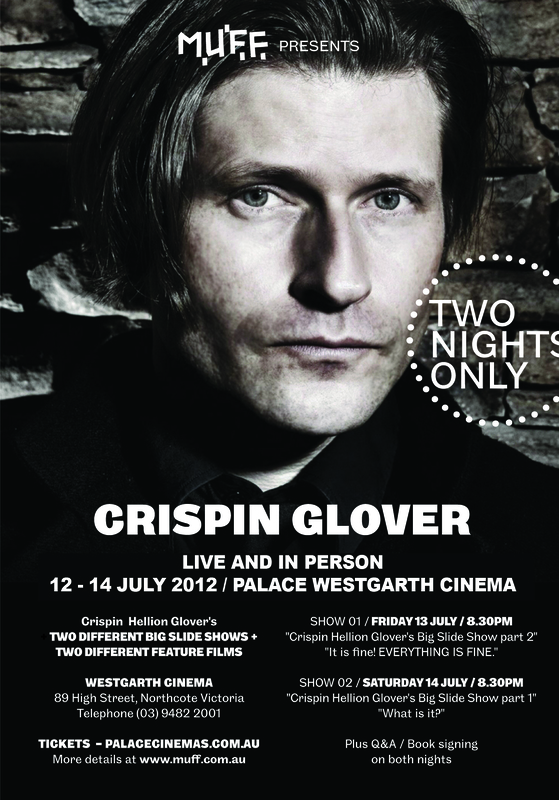 Crispin Glover (updated) new deisgn ad for Melbourne shows and tour. Check it and please share. Explains the Big Slide Show and feature format better.